This asphalt progressive springs act softer in the beginning of the corner to give more steering and then stiffen up as the car makes it's way around the corner, to provide better mid and exit steering. While these springs are our preferred items for asphalt, they will also work quite well on carpet. 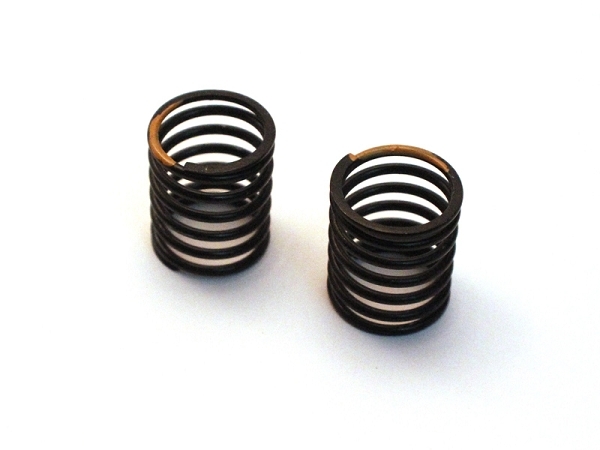 These springs also work great with your RSD AE TC6/ RSD6 Lowered Shock Tower Conversion Kit.